NONONO (Stina Wappling, Astma and Rocwell) at The Echo. NONONO are that shiny brand new toy that everyone in the music biz seems to want for Christmas. From CMJ to Perez Hilton, this Swedish trio is the talk of the town and with their upcoing American television debut appearance on Jimmy Kimmel scheduled this Wednesday, NONONO is sure to be on everybody's radar by week's end. Blame it on their breakthrough single "Pumpin Blood," which spread like wild fire across music blogs along with getting heavy airplay on mainstream and college radio. Riding high off their critically acclaimed EP, NONONO made their first ever headling gig at The Echo. 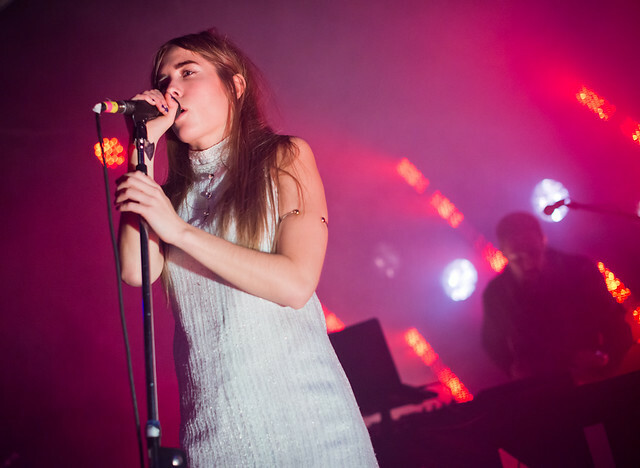 Donning a glittery mini-dress and sneakers, lead singer Stina Wappling shined onstage, awash in vibrant red and blue stage lights backed by producers Astma and Rocwell. 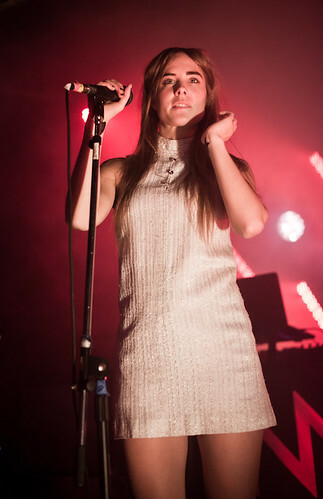 NONONO makes Los Angeles debut at The Echo. 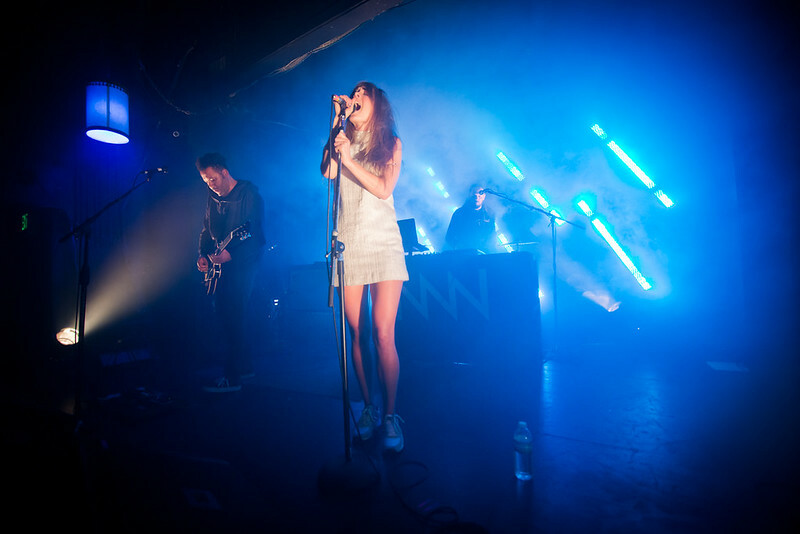 They sang songs off their debut EP, comprised of a mixture of electropop that balances between sparkling and moody melodies. That didn't stop the crowd from dancing during their entire set during hits like "Jungle" and "Fire Without a Flame." And with only a handful of songs to perform (4 in total on their EP) Stina joked, during their last song that they needed to write more songs so they could come back for an encore. More live photos on our Flickr page right HERE.